The participation of our ALL Advisory Board is very important to the success of the program. Our Advisory Board members contribute ideas for courses and events, and they help represent the interests of our membership. If you are interested in joining the ALL Advisory Board, you are welcome to contact us. A retired earth scientist, I now oscillate between Wolfville and Woody Point NL, where I have a close association with Gros Morne National Park. I taught geology at universities in Canada, Sri Lanka, and Malaysia, worked for government and international organizations, and was an independent consultant. I helped to establish several international NGOs, building science in developing countries, strengthening small-scale mining, and increasing global access to scientific literature. My international experience led to two major global projects, one developing tools for tracking rapid landscape change, and a second researching past human responses to natural change. 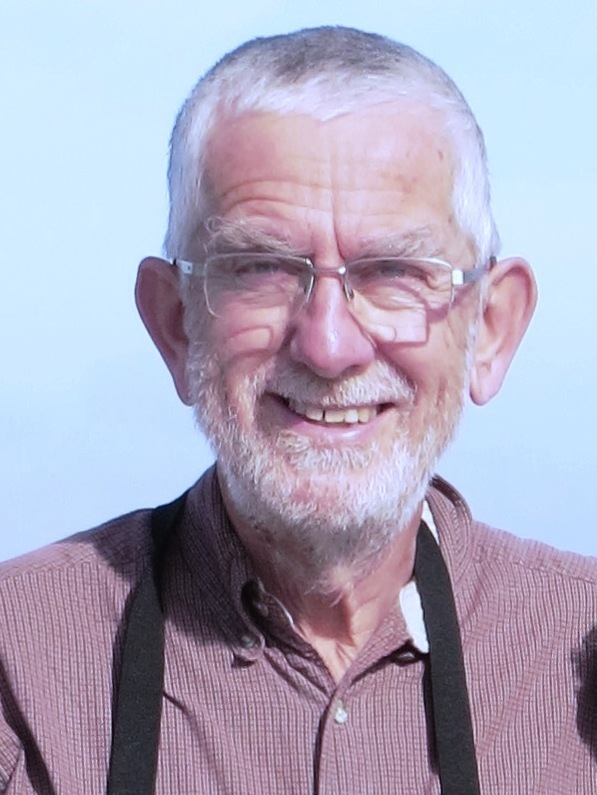 I have written or edited scientific books on subjects ranging from granites of Donegal, Eire, to geology and human health, rapid natural landscape change, and most recently a history of Bonne Bay, NL. Like other academics, I have to take responsibility for adding many papers and articles to the overwhelmingly voluminous scientific literature, much of which has now past its “expiry date”. After attending Guelph (B. Sc) and Western (B. Ed) Universities, Helen embarked on a 35 year career teaching high school chemistry, physics and mathematics and coaching volleyball, badminton and basketball. After completing an MA in Counselling at Durham University (UK), she served as her school’s university and academic counsellor for the 17 years, helping students select universities that suited their academic and career aspirations as well as their personal attributes and needs. She served as the Calgary liaison between University Recruiters and Guidance Counsellors for 10 years, spearheading the planning and implementation of week-long university fairs. She also volunteered on the University of Calgary Medical School admissions committee. Helen’s decision to retire to Wolfville was influenced by the presence of Acadia University and its recognized positive involvement in Wolfville and surrounding communities. Frank was born and raised in The Netherlands. He moved to London, Ontario with his family in 1961 at the age of 11. Following completion of his graduate studies in Hospital Administration at the University of Toronto in 1977 Frank embarked on a 35-year career in health administration. He was President and CEO of two different community hospitals in Ontario. After his 2003 move to Nova Scotia he led the government’s compensation strategies for its community and academic physicians and was seconded to its Treasury Board to assist in a major expenditure management initiative. He has been fully retired since 2011. Frank and his wife Barbara’s 2003 move was driven by the dream of an ocean-side life – which they fulfilled for 12 years. But Wolfville proved to be too difficult to resist and they made the move here in late 2015 drawn by the area’s natural beauty and the presence of Acadia University. Frank has volunteered with numerous community and health service related organizations for most of his work and personal life. This has involved, among others, the Niagara Region Cancer Society and the York Region United Way. Frank has also been on the Board and served as Chair of the Health Care Insurance Reciprocal of Canada, Canada’s largest national healthcare organization insurer. Frank and Barb have four children and nine grandchildren; most in far flung parts of the world. Frank has been a member of ALL since his move to Wolfville, is active in the Wolfville Newcomer’s Club, is on a Committee of the Town of Wolfville, and is busier than he’s ever been. Dale was born is Halifax, NS and attended Dalhousie University where she obtained a BA and B.Ed. Her interest in education began at a very early age, and after her education degree she taught senior high school in the Annapolis Valley and in Halifax. Her career changed to the non-profit world when she became a Big Sister Coordinator with the YWCA and later became Executive Director of the Help Line in Halifax. After moving to the Annapolis Valley, she continued her work in the education field by teaching various educational programs, especially the GED program to adults who needed to upgrade their education. Her latest work was in the health care system, with the Annapolis Valley Health Authority as the Coordinator of the Central Kings Community Health Board. The CHBs are responsible for gaining input from the community about its health needs, based on the Population Health model, then reporting to the health care system to respond to those needs. Her interest in ALL began four years ago when she retired. She became a member of ALL and took a variety of courses including Blue Beach and Joggins Fossil Cliffs, Oscars and Tonys, Brain Health and a variety of Lunch and Learns. Because of her interest in the ALL program, she also took adult education courses at the Coastal Carolina University (Myrtle Beach, SC) through the OLLI (Osher Lifelong Learning Institute) program. Susan lived in Saskatchewan for the first two+ decades of her life and moved to Nova Scotia in 1974 – supposedly just for a few years to see what life was like on the east coast. After a brief interlude in Alberta in the 1980’s she returned and has not left. Susan retired from Acadia University in 2011 after 24+ years, and was appointed Professor Emerita in 2012. She has also been a provincial park planner in Saskatchewan and Alberta, and recreation planner for Halifax. In retirement she continues to contribute to the Community Development program’s graduate courses. Over the past several decades she has helped with policy and publication duties for national and local organizations such as the Canadian Parks and Recreation Association, the Canadian Association for Leisure Studies, the Leisure Information Network, Physical and Health Education Canada, Ken-Wo Golf Club’s Women’s Division and the Wolfville Resolution Run. She works backstage and out of sight for the annual productions of Fezziwig and Women of Wolfville. In her life outside of volunteer organizations Susan golfs enthusiastically with occasional moments of brilliance; gardens a bit; grows many, many sunflowers; reads stacks of mystery novels; plays with her digital cameras; and loves travelling. Most of those travels involve sampling food and beverages and riding trains. Susan has been a member of ALL for several years and particularly enjoys the opportunity to audit AcadiaU undergraduate courses. Heather was born in India where her Canadian parents were working. Her family permanently returned to Canada when she was 12. She fulfilled her dream to be a doctor when she graduated from Faculty of Medicine at Dalhousie University. Her life completely changed 3 months prior to completing a Residency in Family Medicine when she survived a severe car accident and 15 day coma. However, only 15 months later, after several months in hospital, with the support of family and friends and her own great determination, she returned to complete her medical training and received her Family Medicine certification. Prior to moving to the Valley in 2011, she practiced for nearly 20 years in a variety of medical settings including at a geriatric Day Hospital, the University of Waterloo Student Health Centre and the federal Dept. of Veterans Affairs. Due to her past history and the fascination with the field of neuroscience, she is particularly interested in helping people optimize their cognitive function. She has presented several ALL courses and noon presentations related to memory and brain health. Heather serves on Volunteer Boards, including the ALL Advisory Board and the Acadia Cinema Cooperative. She loves movies, travel, entertaining, biking, hiking, participating in a reading group and attempting to optimize her own brain fitness. 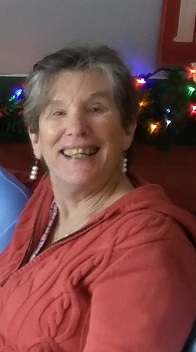 Alison retired from solo law Practice in 2015 after 40 years during which she served as a volunteer in many capacities including Chrysalis House, Family and Children’s Services of Kings County, Nova Scotia Barristers Society, Nova Scotia Human Rights Commission, Farmworks Investment Co-operative Limited. During her legal career, she represented CRA, formerly Minister of National Revenue, Family and Children’s Services, the Municipality of Kings County, and countless small businesses and individuals latterly as a solicitor as opposed to a litigator. She also taught at Dalhousie Law School and wrote for severa; major legal publications on the law of planning and Zoning and Wills Trusts and Estates. Currently, Alison serves on the Board of Canadian Association of Physicians for the Environment, a national organization which advocates for restriction or elimination of pesticide use, burning of coal for electricity generation, and action to limit climate change as it impacts human health. Alison has been a member of ALL for many years, and often takes courses in literature, gardening, brain health, and Spanish course audits. She has a particular interest in nutrition, food production and agricultural land preservation as well as the future of our planet as the habitat for her three grandchildren, two of whom live in Texas. Stephen was born and raised in Keyport, NJ, a small coastal town with a boat building history. He has a Bachelor of Science degree from Monmouth University and a Master of Arts from Rutgers University. He served two years active duty in the US Coast Guard. He then served in the USCG Reserves, retiring as a Master Chief Boatswain Mate after 31 years. After teaching Earth Science and Chemistry, and serving as Science Department Supervisor, Steve moved on to a district-wide position, Supervisor of Curriculum and Instruction, K-12. He retired in 1994. Early retirement gave him the opportunity to accept the position of Principal of the International School of Grenada, “the best job I ever had”. He lived in Grenada with his wife, Linda, for five years. Steve was always intrigued by the Maritimes and, following a visit in 2007; the decision was made to move here. Wolfville was attractive because of the University, and the fact that it is an easy community in which to integrate. While living here, he served as the Vice President of the Wolfville and Area Newcomer’s Club, and is still an active member. During the time he’s lived in the area, Steve has enjoyed the Lunch Time Learning series and has taken several of the courses offered by ALL. Serving on the Board will provide an opportunity for him to contribute to this organization, a major reason that living in Wolfville is such a unique experience. B.Sc. and Ph.D. in Geology (Exeter University, U.K. 1970 and 1973); Masters in Applied Science (Civil Engineering, Dalhousie University, Nova Scotia, Canada 1993). 20 years working as a geologist in Greenland, Sierra Leone, UK, Canada and New Zealand. Mainly interested in structural geology and regional tectonics of Archaean rocks and their development and mineral potential. 21 years working as a consultant and government hydrogeologist in Canada, UK and New Zealand. Primarily interested in water resources management, especially relationships between groundwater pressure in and discharge from large aquifer systems, adaptive management techniques, catchment water management and well protection and managed aquifer recharge. I researched and consulted on the use of groundwater and rock as heat / cold storage media as part of a carbon dioxide emissions reduction program. 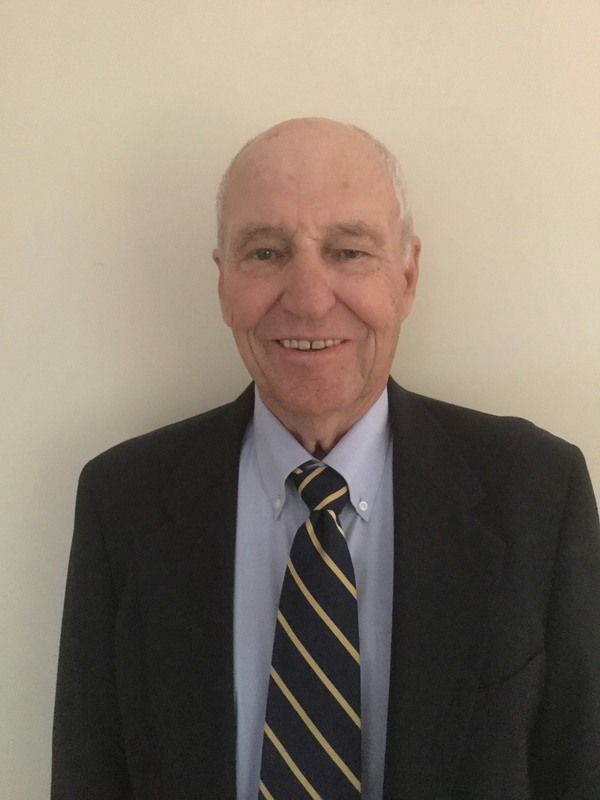 Don was born in McKeesport, Pennsylvania, and attended high school and university in the San Francisco Bay Area in California. He obtained his undergraduate and graduate degrees in Physics from Stanford University. After 10 years teaching and doing nuclear physics research at the University of Oregon and the University of Manitoba, he became involved in university administration. He served first as an Assistant Vice President Planning (academic) before becoming Vice President (Administration) at the University of Manitoba in 1975. In 1986, he moved to Mount Allison University as its 10th President, and in 1990 he assumed the position of President of the University of Regina. He has long had a keen interest in community affairs, having served in many volunteer capacities. Among those interests have been many aspects of lifelong learning.